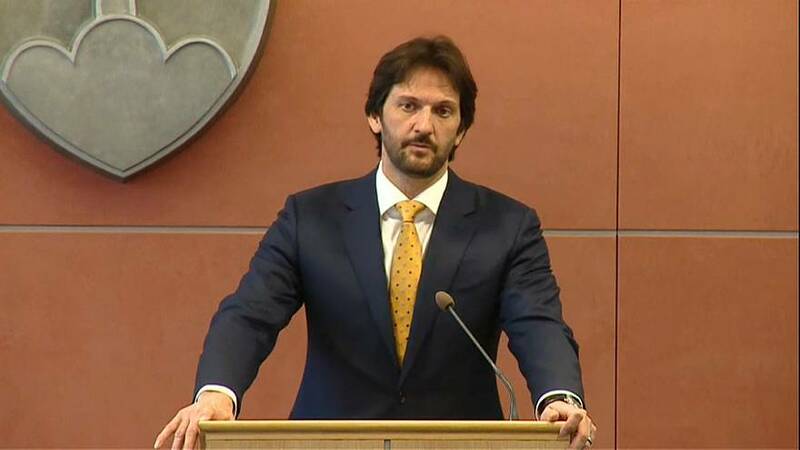 Slovakia's Interior Minister Robert Kalinak stood down on Monday amid a growing political crisis over the murder of a journalist. Prime Minister Robert Fico has been under pressure from the opposition and a junior coalition partner in his government to dismiss Kalinak. Critics said he could not guarantee an independent investigation into the killing of reporter Jan Kuciak and his fiancee Martina Kusnirova last month. Kuciak had been looking into fraud cases involving politically-connected businessmen. Fico, who is now trying to save his government, once referred to journalists as "dirty, anti-Slovak prostitutes". However his government has offered a 1 million euro reward for information on the murder case.